This summer the Hot Shots League is presenting, "The Excel Summer Workshop". 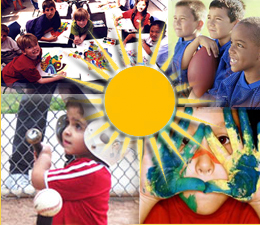 This is an Academic, Art and Sports program for children 4-8 years old. The Excel program uses creative games to teach and enhance Reading & Writing skills. Our students will also learn Art, Basketball, Soccer and Baseball. This is a fun way to improve your child's reading/writing and keep them fit during the summer. Registration: Click here to submit your registration form online. Or you may register by phone (626) 798-KIDS (5437), or in person.